IT just keeps getting worse for ailing Premiership giants Dynamos, with the ghost of Christian Joel Epoupa, who left them in acrimonious circumstances earlier this year, returning to haunt them after FIFA ordered DeMbare to pay the Cameroonian striker nearly $17 000 as compensation. FIFA have also warned Dynamos of further sanctions should they fail to pay Epoupa US$16 755 within a month. Dynamos hogged the limelight for the wrong reasons at the start of the 2018 season when Epoupa walked out on them citing constant breaches of the contract by the club on the contract the two parties had entered into. Although he first returned to his native Cameroon before switching to Botswana, Epoupa did not let Dynamos get away without paying him in a labour dispute that dragged for several months and at one stage even sucked in the Harare giants' sponsors - NetOne - as they tried to mediate and resolve the fallout. Instead, he took his case up with FIFA with the aid of the Footballers Union of Zimbabwe, where he succeeded with his appeal. Epoupa, who had a fairy tale season with the Glamour Boys, winning the club's Golden Boot and a place among the Castle Lager Soccer Stars finalists, was claiming US$18,055 for his outstanding salaries. The big striker, who even courted the interests of SuperSport United and Bidvest Wits, accused the Dynamos authorities of breaching the contract after they defaulted in paying the agreed signing-on fees, salaries and other benefits. Epoupa signed a two-year deal with Dynamos at the beginning of 2017, but he only served one year before the relationship turned sour. He has since terminated his relationship with the Glamour Boys and moved to Botswana to join modest side Orapa United. His case, however, came before the FIFA Dispute Resolution Chamber on November 15, which was chaired by Briton Geoff Thompson and included Johan van Gaalen of South Africa and Belgian Wouter Lambretch. The trio came up with a determination in favour of the player after upholding Epoupa's petition and gave Dynamos 30 days to pay the player his dues in hard currency. Dynamos also risk being dragged to the FIFA Disciplinary Committee if they fail to settle the dues in the stipulated time frame and could face severe punishment. FIFA have a tradition of being strict with clubs that renege on player contracts and Bulawayo giants Highlanders have previously been hauled to the world soccer governing body by Zambian Kelvin Kaindu, who was their player before he later returned to coach them. "1. The claim of the claimant, Christian Joel Ntouba Epoupa, is partially accepted. "2. The respondent, Dynamos Football Club, has to pay the claimant, within 30 days as from the date of notification of this decision, outstanding remuneration in the amount of USD 16 755 plus interest at the rate of 5 percent p.a. until the date of effective payment . . .
"3. The respondent has to pay the claimant, within 30 days, as from the date of notification of this decision, compensation for breach of contract in the amount of USD 4 875 plus 5 percent interest p.a. as from 16 April 2018 until the date of effective payment. "4. In the event that the amounts plus interest due to the claimant in accordance with the above-mentioned points 2 and 3 are not paid by the respondent within the stated time limits, the present matter shall be submitted, upon request, to the FIFA Disciplinary Committee for consideration and formal decision. "6. The claimant is directed to inform the respondent immediately and directly of the account number to which the remittance is to be made and notify the Dispute Resolution Chamber of every payment received," reads part of the judgment. Dynamos have been given 10 days to request for the grounds of the decision to enable them to make an appeal against the judgment. But they are not likely to follow the route since appeals can only be done through the Court of Arbitration for Sport at a more "prohibitive" cost. When Epoupa joined Dynamos at the beginning of 2017, they agreed on a $10 000 signing-on fee for the first year for the player and a further $12 000 for the second year. 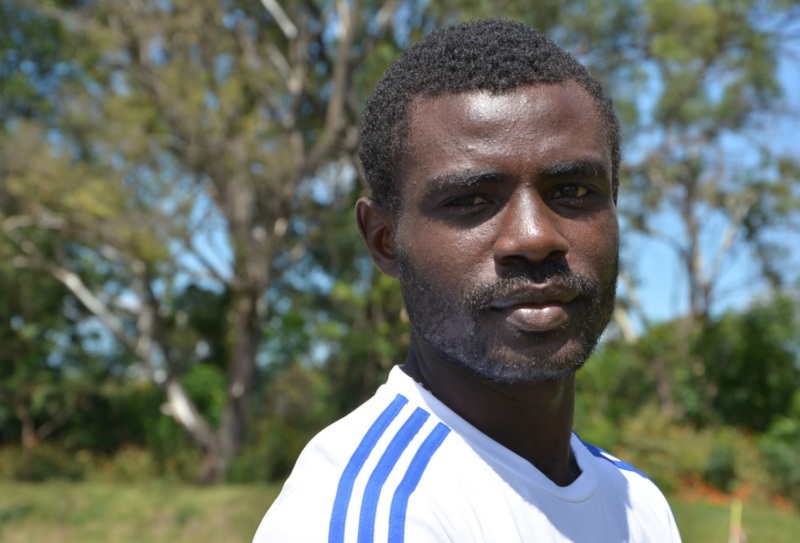 The 25-year-old striker was also entitled to a $1 500 monthly salary, $100 food allowance per month, $25 transport allowance and $20 bonus for every goal scored. Dynamos had also undertaken to reimburse him his flight tickets to and from Cameroon. But after serving only one year of his contract, problems arose between the club and the player. In his papers filed to FIFA by FUZ, Epoupa alleged that Dynamos repeatedly violated their contractual obligations. Apart from defaulting on the signing-on fees, salaries and other emoluments, the Cameroonian was not happy the club also failed to arrange his work permit which had expired and could not sort out his medical insurance as stipulated in the contract. Dynamos also owed him reimbursements for his air tickets. He also had issues with his accommodation and was also pushed into reconsidering his opportunities since he was not registered for the season. On their part, Dynamos made some efforts to reduce the arrears, but there were disagreements on the methods of payment. The Cameroonian was unhappy that the money had been coming in small tranches and he also complained to the Glamour Boys leadership about his inability to access his money from the local banks. Epoupa requested Dynamos to deposit his dues in a visa bank account with a Harare bank that would also enable him to withdraw and send money in United States dollars to his family in Cameroon. Dynamos, then under the leadership of Kenny Mubaiwa, however, argued that the acute shortage of foreign currency in the country was making it difficult to pay Epoupa and had instead suggested a platform provided by their sponsors, the One Wallet account, which the player, however, rejected. The DeMbare chiefs were not immediately available to comment on the issue, but FUZ president Desmond Maringwa said local clubs should learn from the latest episode involving FIFA, a player and a club. "If they want to appeal they can still do that through CAS, but it's a bit expensive. "It's a lesson to our clubs that they should always conduct their business properly, especially when dealing with foreign players. "It's very sad it has come to this. We tried to engage Dynamos when the case came to us, but the club felt like they didn't want to have the matter settled in an amicable manner. "It's something depressing considering the plight of the club, but we also had to stand for the rights of the player. The worst part is that they could be dragged to the Disciplinary Committee if they fail to abide by the DRC ruling and the consequences could be dire," warned Maringwa. More worrying for Dynamos and their multitude of fans is that their club could yet be relegated if they are to ignore the directive to pay Epoupa as tradition has shown that FIFA also resort to deducting points as part of the sanctions slapped for non-compliance. If Dynamos ignore the order by DRC and the matter is taken to the FIFA Disciplinary Committee, there will be more drastic decisions on the table, including possible relegation of the club into the lower divisions. South African side AmaZulu almost fell on the same sword this year in their conflict with Namibian player Phinheas Nambandi, who reported the club to CAS though the South Africa Footballer Players Union, citing breach of contract. Nambandi took AmaZulu to FIFA in July 2014 after the club terminated his contract‚ which still had three more years to run. By then he claimed R300 000, but the figure has since risen to R1 086 million because of interests. AmaZulu were docked six points after they ignored the rulings of the global body and they faced real threats of getting relegated, which forced them to settle the huge bill last month under duress. Former Home Affairs Minister Ignatius Chombo's co-accused - Rejoice Pazvakavambwa, the deputy director of valuations and estate management in the Ministry of Local Government, Public Works and National Housing and Lazarus Chimba, the registrar of valuers - were last Friday removed from remand after the State unsuccessfully applied for further remand. Prosecuting, Mr Tapiwa Kasema wanted them remanded further, saying that they wanted to formally jointly charge them with Chombo before they could be given a trial date. Mr Kasema said the two should not be removed from remand as they could abscond. Pazvakavambwa and Chimba, through their lawyers Messrs Admire Rubaya and Joel Mambara, opposed the application, saying they had placed the State on notice that if it failed to give them a trial date, then they would apply for removal from remand. They also argued that since the State was waiting for Chombo's application of permanent stay from the High Court, there could be a scenario in which it could be denied and Chombo could go to the Supreme Court or Constitutional Court seeking further justice. Therefore, it would not be fair for his co-accused to have their day to day lives disrupted while they continue to show up for remand at the courts, they argued. Magistrate Ms Esteri Chivasa ruled that Pazvakavambwa and Chimba should be removed from remand as they had been religiously coming to court and could not abscond. She said that no application had been made by the State to jointly charge Chombo and the duo and the bail conditions were also unreasonable. The duo is accused of facilitating the illegal transfer of council property worth $900 000 into Chombo's name.